Non-toxic baby furniture. Designing your baby’s nursery can be one of the most exciting things you’ll get to do during pregnancy! The soft little rugs, the pretty stuffed animals, the cute little printables on Etsy. I spent so much time pinning photos on Pinterest and gathering ideas for the perfect nursery design. Ahhh, nesting! Looking past the design, however, what truly matters is safety. It’s important that the nursery furniture and other items in the baby’s room won’t off-gas harmful and toxic VOCs and chemicals. This is one important way you can truly create a gentle nursery for your baby. That’s why I’ve compiled this guide to buying non-toxic baby furniture. Solid wood. It’s important to select nursery furniture manufactured from solid wood because you don’t want furniture that’s made with glues, formaldehyde, and veneers. Look for cribs and furniture made only with real wood (not engineered wood, MDF, composite board, or particle board) so that you can ensure your furniture was made without the use of glues and chemicals. Low-VOC paints. VOC stands for volatile organic compound, which are essentially toxic chemicals. When furniture is painted, it can give off toxic fumes, so to avoid this, look for unfinished furniture or find products painted with low-VOC finishes (or no-VOC if available, although the standards for “no-VOC” really mean that the item is just “low-VOC” below a certain threshold — but it’s still better!). GREENGUARD Gold certification. This is so important! Whenever possible, find Greenguard GOLD certified products to ensure clean indoor air quality in baby’s room. Manufacturers that obtain the Greenguard Gold certification meet the strictest standards for indoor air quality and chemical composition — their furniture is tested for over 10,000 chemicals and more than 360 VOCs in a state-of-the-art steel chamber setting. I would personally never buy a crib that does not have this certification. I would rather you buy a Greenguard Gold-certified crib that contains MDF or plywood than buy a crib without this certification. Manufactured outside of Asia, preferably. Because there are cases where furniture made in Asia has been found to contain lead, it’s best to select a manufacturer outside of Asia – preferably one that makes their furniture in the US, Canada, or Europe. These manufacturers make some of the best nursery furniture available. You’ll be able to order these online direct from the manufacturer, or shop directly from a local baby shop. Most of these manufacturers require several weeks’ lead time, up to 12 weeks in most cases. Plan ahead if possible. Romina Furniture (Made in Romania): While pricey, Romina Furniture is among the best of the best when it comes to non-toxic baby furniture. This is the brand we went with, which is why it’s listed first. We love our Romina Furniture. Not only are the designs incredibly stylish and elegant, they are Greenguard Gold Certified and extremely well made – from 100% solid beechwood – and are non-toxic, with no formaldehyde emissions. Their furniture also includes additional safety features, such as anti-tilting hardware, baby-proof gliding drawers, and plastic-safety triggers for removing drawers. We purchased the Karisma Classic Crib and 6-drawer dresser, although they have several collections that you can choose from. Truly top-notch! Natart Juvenile (Made in Canada): Also a wonderful choice, Natart Juvenile manufactures beautiful, high-quality, non-toxic baby furniture that is Greenguard Gold Certified. Their furniture is made from 100% solid wood (beechwood, oak, or birch), has stainless-steel safety drawer glides, and uses solid wood mattress supports. I like solid wood mattress supports for two reasons: 1) they provide firm mattress support (i.e. less sagging), and 2) you don’t have to worry about metal in the crib acting as an antenna for electromagnetic frequency (EMF) radiation. 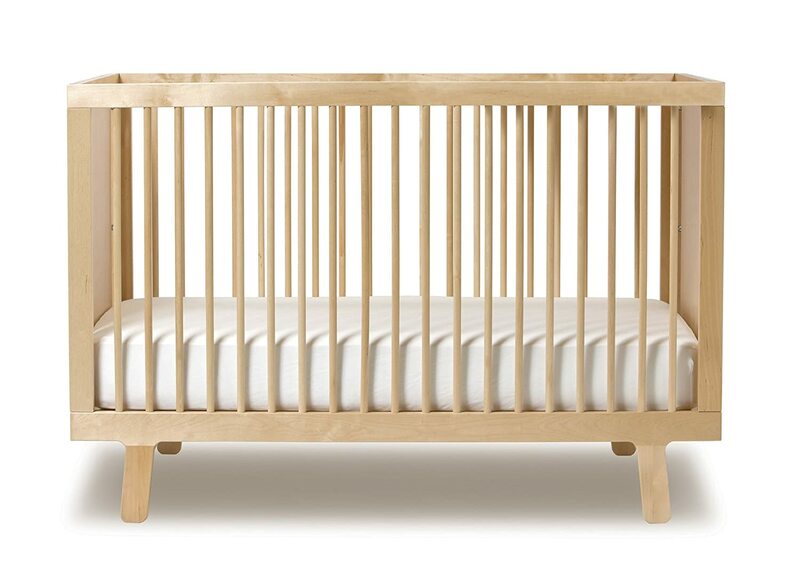 The solid wood mattress support is the main reason I wish we bought a Natart crib instead of a Romina crib (but I am still very happy with our Romina furniture). Overall, Natart is a wonderful non-toxic and stylish choice for your baby’s nursery furniture. Green Cradle (Made in the USA): A wonderful little store located in Los Angeles, Green Cradle manufactures solid wood nursery furniture that is 100% VOC-free and chemical-free. They deliver to anywhere in the United States. I used to live pretty close to Green Cradle and can vouch for this company’s commitment to making truly non-toxic products. Their cribs are made using the best quality materials, including solid wood (such as Oak, Maple, Hard Cherry, and Walnut) and no-VOC finishes. Additionally, no chemicals or chemical preservatives are used in the manufacturing of their nursery furniture. Silva Furniture (Made in Romania): Silva Furniture is made by Romina and is more comparable in price to some of the high-end children’s nursery furniture stores. 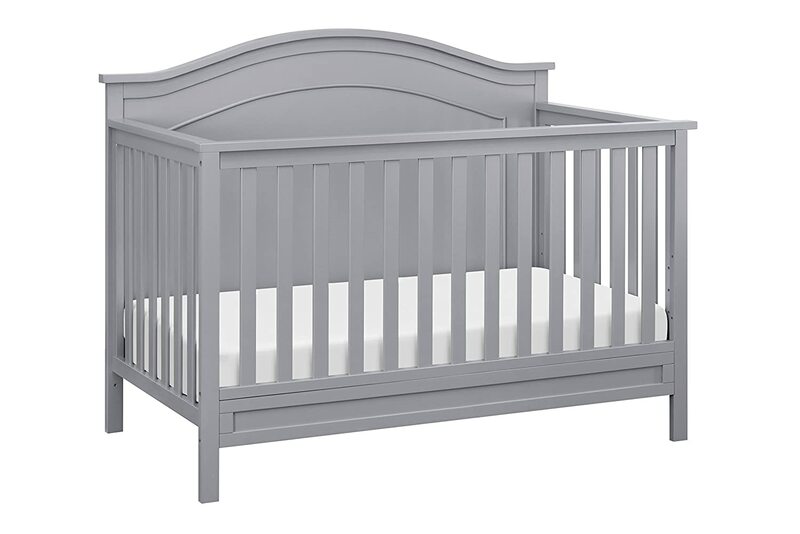 (For example, a Silva crib is roughly $800 while a Romina crib is $1,000+.) Both companies make excellent, quality baby and children’s furniture using mostly the same materials and attention to detail, but there are a two key differences to take note of. First, Silva Furniture is not Greenguard-certified. Though they use solid Beechwood, dovetailed drawers, and non-toxic no-VOC finishes, Silva does not have the Greenguard certification to help keep costs low. If you’re comfortable with this, it might save you a few hundred dollars on your nursery furniture. And, Silva Furniture has fewer collections and fewer customization options than Romina, also helping to cut costs. Silva has four furniture collections (I love the Jackson collection) and five finishes, while Romina has 10 collections, 25 finishes, and other customization options. Silva Furniture is still absolutely stunning and well-made. Knowing it is made by Romina, I would still encourage anyone to consider their furniture. Nest Juvenile and Tulip Juvenile (Made in Canada): Nest and Tulip are manufactured by Natart Juvenile. 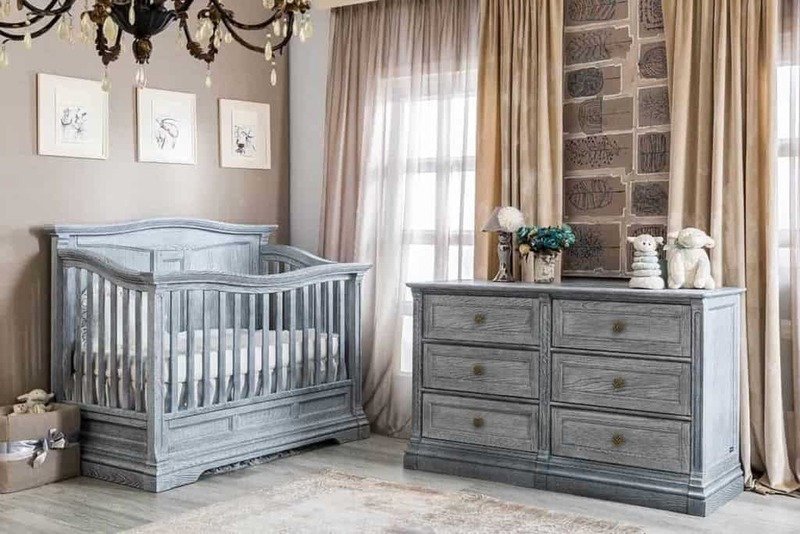 All cribs and furniture made under these brands are Greenguard Gold certified, but the main difference I have identified between these brands and Natart is that some Nest and Tulip furniture may include wood veneers. Natart Furniture, on the other hand, is made exclusively from solid wood. Nest offers more of a classic crib design, whereas Tulip furniture is a little more modern (and pretty unique, in my opinion). Both brands offer solid wood mattress supports. Though they include wood veneers in some of their pieces, Nest and Tulip furniture is extremely well-made. I would still encourage you to consider these options if Natart and Romina are out of budget. 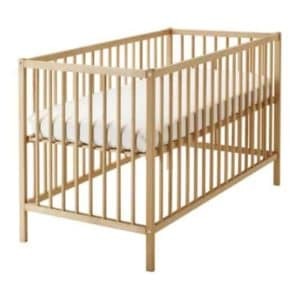 Oeuf NYC Cribs (Made in Latvia): Oeuf NYC makes several Greenguard Gold-certified cribs, including the Sparrow, Rhea, Fawn, and Classic Crib. Their signature modern design adds a really elegant touch to any nursery. The company uses non-toxic water-based paints on their furniture and wood glues (when they use them at all). 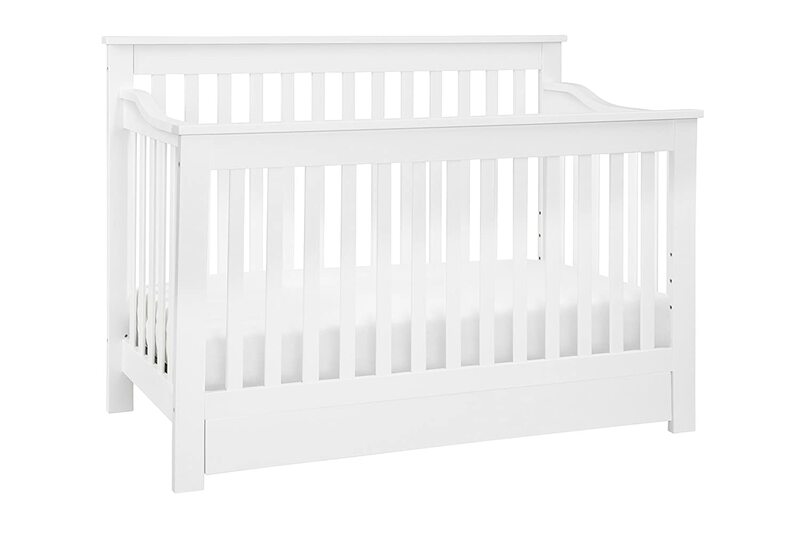 In addition to their cribs, Oeuf also makes a complete line of nursery furniture. Check out their full collection of furniture here. 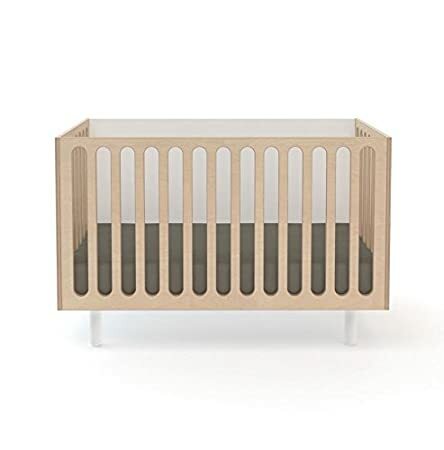 Stokke Sleepi (Made in The Netherlands): Made from cultivated beechwood, the Stokke Sleepi is an amazing convertible crib. It truly grows with your baby from newborn to toddler and beyond. At first, it can be used as a bassinet and can be converted to a crib and toddler bed with additional equipment. It’s a great value, and is made exceptionally well. The sides allow for maximum air circulation, which is very important for safe sleep. The paint used on the Stokke Sleepi is free of formaldehyde, but the glue used does contain small amounts. The mattress is designed in such a way that helps it minimize excess body heat, although I prefer replacing it with the Naturepedic Organic Oval Cotton Crib Mattress. All Stokke fabrics are Oeko-Tex certified, including their crib sheets, which ensures they are free from harmful substances. Given that the glue does contain some minor amounts of formaldehyde, I would recommend purchasing this a couple of months early and letting it air out. Also check out the matching changing table. Crate & Kids: I am so excited to see more and more Greenguard Gold certified furniture at mainstream stores like Crate & Barrel Kids (formerly Land of Nod). Though I know these items aren’t of the same quality as Romina or Natart, it signals to me that more and more consumers care about avoiding toxic chemicals – and the retailers are listening. 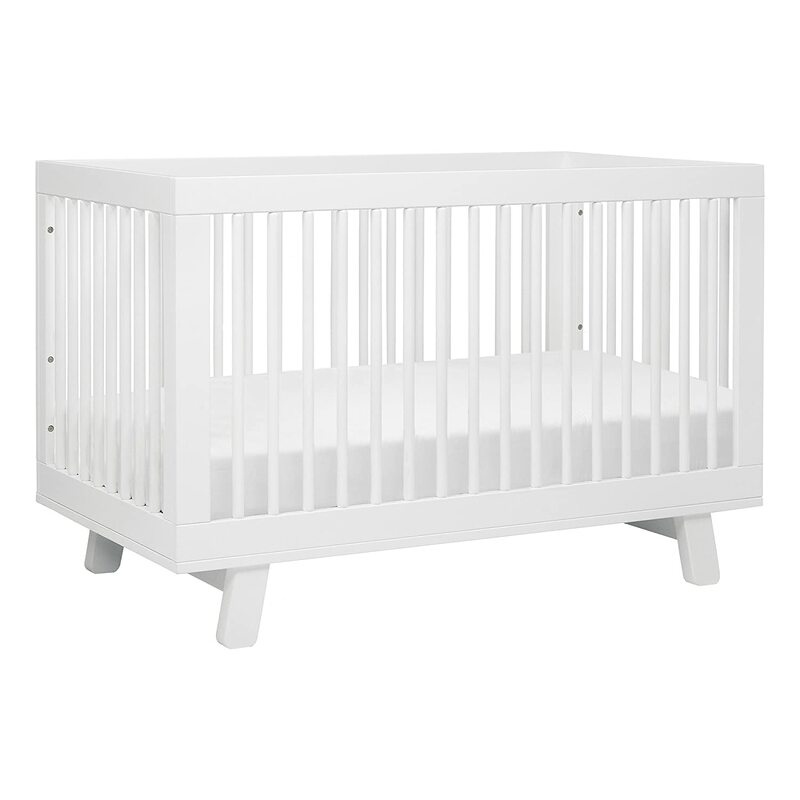 Crate & Barrel in particular has a few options for Greenguard-certified cribs. 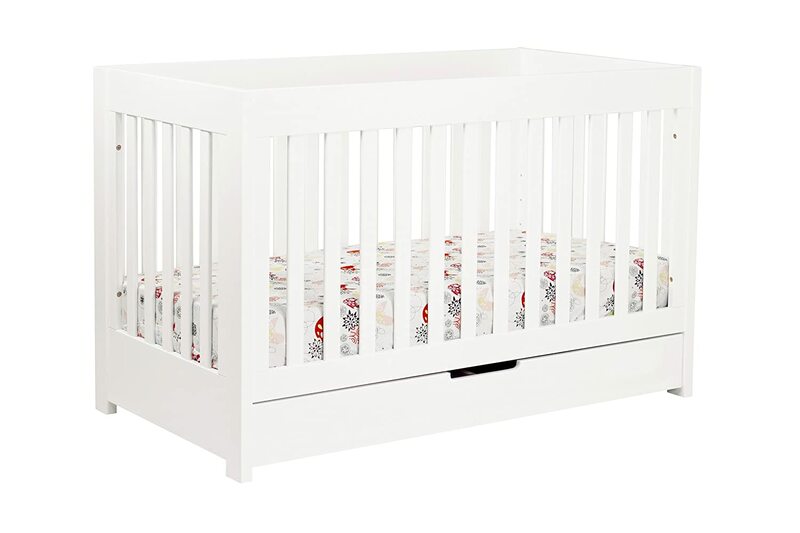 These include the Lolly Natural 3 in 1 Crib and the Harmony 3-in-1 Crib. Or, check out their full line of certified kids furniture. Pottery Barn Kids: I love Pottery Barn, and was thrilled when they started selling Greenguard-certified furniture. However, they are still manufactured in Asia and only some of their cribs are made with solid wood, and others contain MDF and/or pegboard. So be sure to read the detailed description before you get your heart set on a specific crib. Consider the Kendall Crib (made of solid poplar wood), the Kendall Low-Profile Crib (a shorter version of the Kendall Crib, also made of solid poplar), the Marlow Convertible Crib (made with solid pine wood), the Tatum Convertible Crib (made with a Sap Gum wood frame, and a metal mattress platform), or the Emerson Mini Crib (made for smaller spaces, using solid pine wood). If you do end up buying your nursery furniture from PBK, try and wait for a sale. Their furniture usually goes on special and they frequently offer 15-20% off coupons. DaVinci (Made in China and Taiwan): I struggled with including DaVinci on this list of non-toxic baby furniture manufacturers. Their furniture is made from sustainably sourced New Zealand pine wood, and is Greenguard certified and formaldehyde and lead safe, but manufactured in Asia. For a cost-effective option, consider DaVinci, although I would be so much happier with this brand if they chose another manufacturing site for better quality control. Their 4-in-1 cribs convert from a crib to a toddler bed, day bed, and full-sized bed (using separate conversion kits, sold separately). View the full lineup of their cribs on Amazon. Babyletto (Made in China and Taiwan): Similarly, Babyletto makes their nursery furniture in Asia, and they also use 100% solid New Zealand Pine wood (with some exceptions). However, I would consider Babyletto a step down from DaVinci because some of their products may contain MDF, which I don’t love. Babyletto makes an effort to reduce VOCs in their furniture, so this is another more cost-effective option than some of the brands listed above. 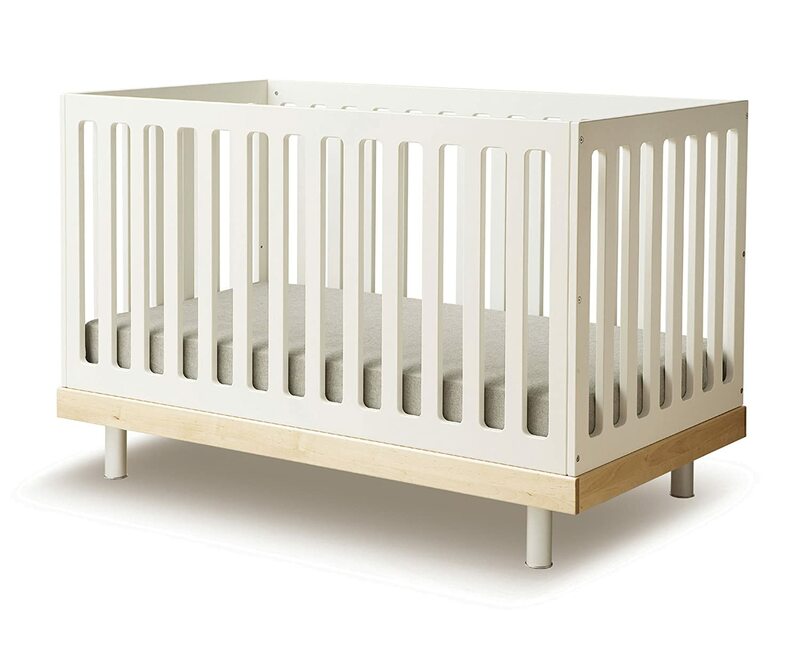 IKEA Sniglar Crib: Made from 100% solid beechwood, the Sniglar crib from IKEA is actually a great non-toxic option. 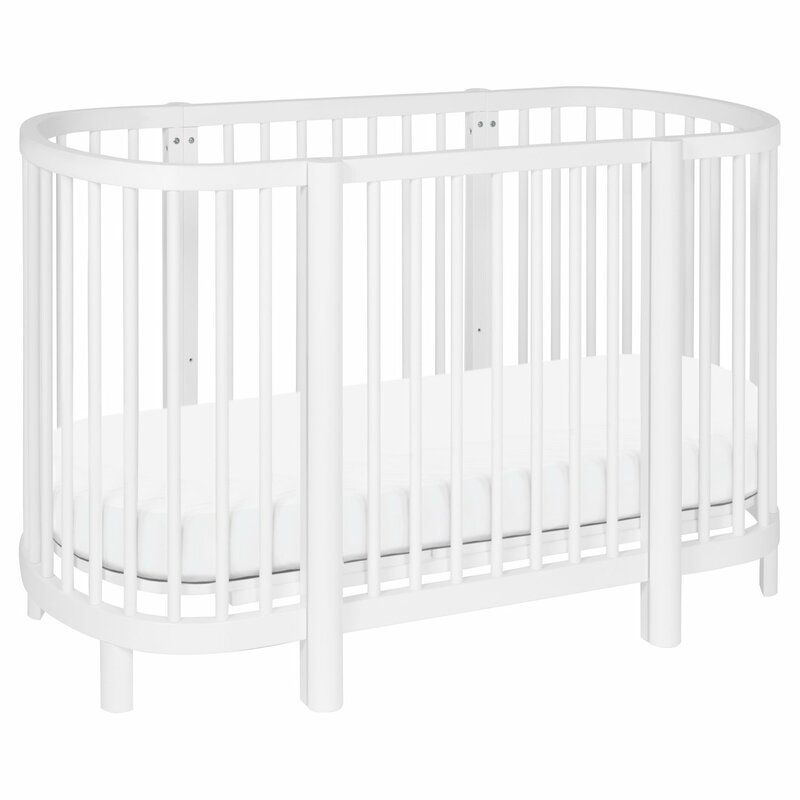 Coming in at only $79 (like only IKEA can do), the Sniglar is easily the least expensive non-toxic crib on this list. The crib itself is unfinished, so you could finish it yourself (if you are DIY-inclined) with non-toxic paints. 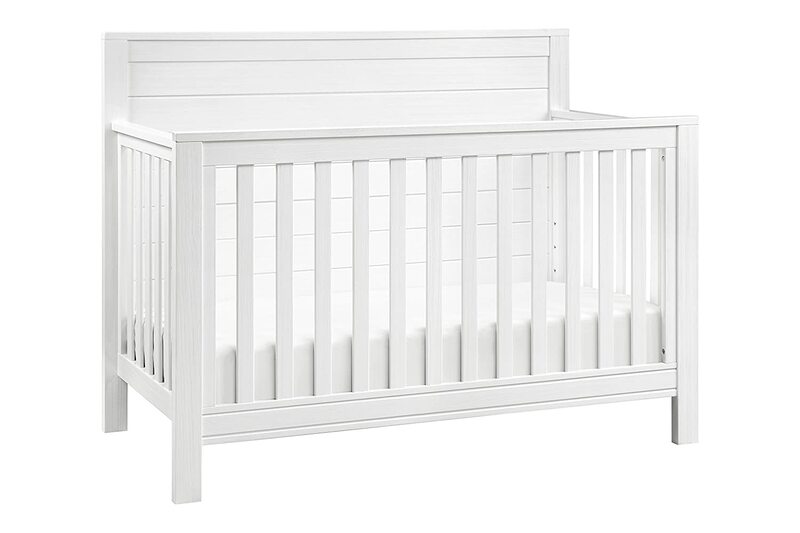 Please note: this crib is not Geenguard-certified, but it is made with 100% solid wood. 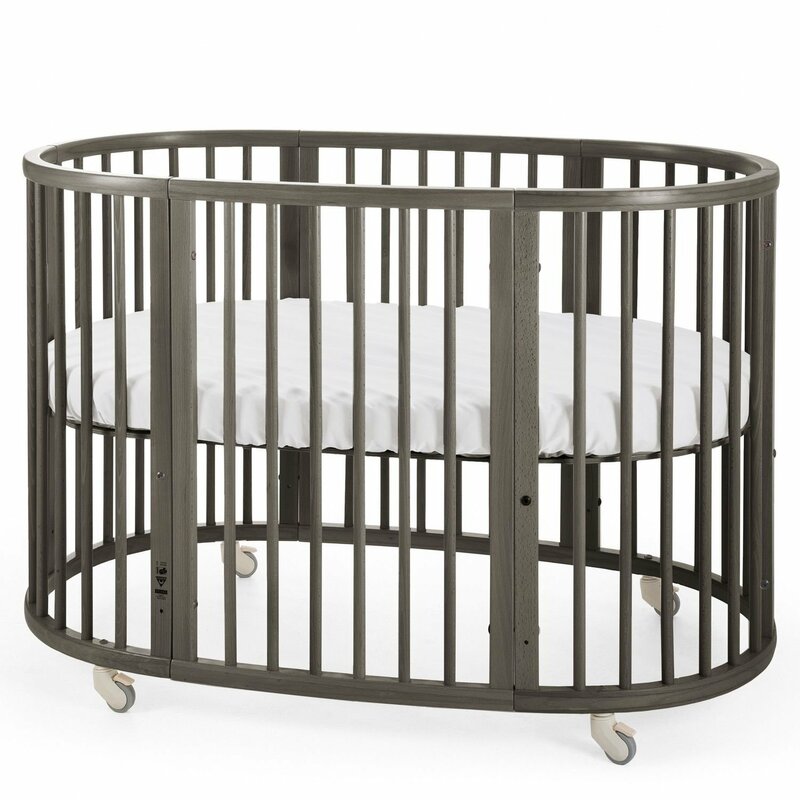 Room & Board (Cribs made in the USA): Along with Crate & Kids, Room & Board is one of the only retailers that sells El Greco’s fine cribs. El Greco makes high-quality solid-wood cribs from sustainably sourced solid wood. Their cribs have never been recalled. Consider the Flynn Crib (Greenguard Gold certified) or the Nest Modern Crib, both of which are made from solid maple wood in New York. Did you find the perfect crib or furniture manufacturer for your nursery? If you have questions about which brand to go with, jump into my free Facebook group and ask for advice! 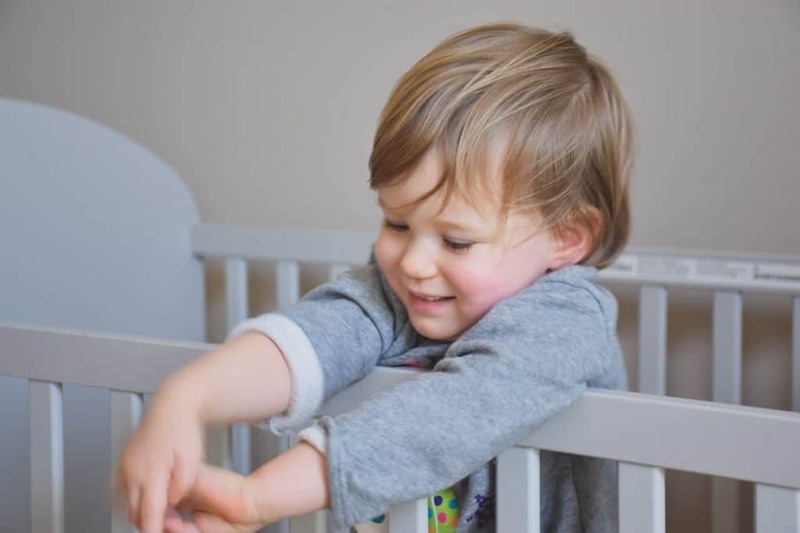 And while you’re setting up your nursery, don’t miss my guide to the best non-toxic gliders and rocking chairs, organic crib mattresses, and my guide to non-toxic bassinets. Unless it’s greenguard certified, I’d avoid veneers and plywood when possible. They’re usually glued. What about Karla Dubois cribs? Thanks! Are you in a small space or are you looking for something portable? i’m not all that concerned with portable, but small space indeed. Hey, love your website! Any idea who makes the gray crib that is in the picture at the top of the post? Maybe its just a stock photo but we love the look of it. Thank you for such a thorough post. It will be a huge help as we create our registry! Thanks for the great article! What are your thoughts on the cribs and changing tables by Spot on Square? Thanks! Mixed feelings. But based on what I know (including their use of MDF), I would probably pass on this company. There are safer options at a more reasonable price point. However, I have not spoken with anyone from the company personally and haven’t done a deep dive on their materials. hi! any thoughts on lining baby’s dresser drawers? thank you!! Avoid plastic liners. 🙁 Could you line with a fabric liner like cotton? 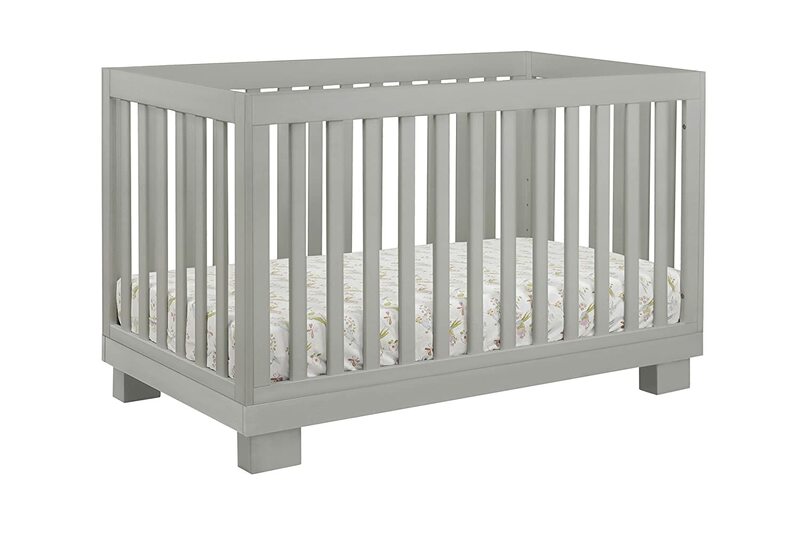 What are your thoughts on Pottery Barn Cribs/ baby furniture? They all seem to have Greenguard Gold certification and are made in fair trade certified facilities. Thanks for the great article! 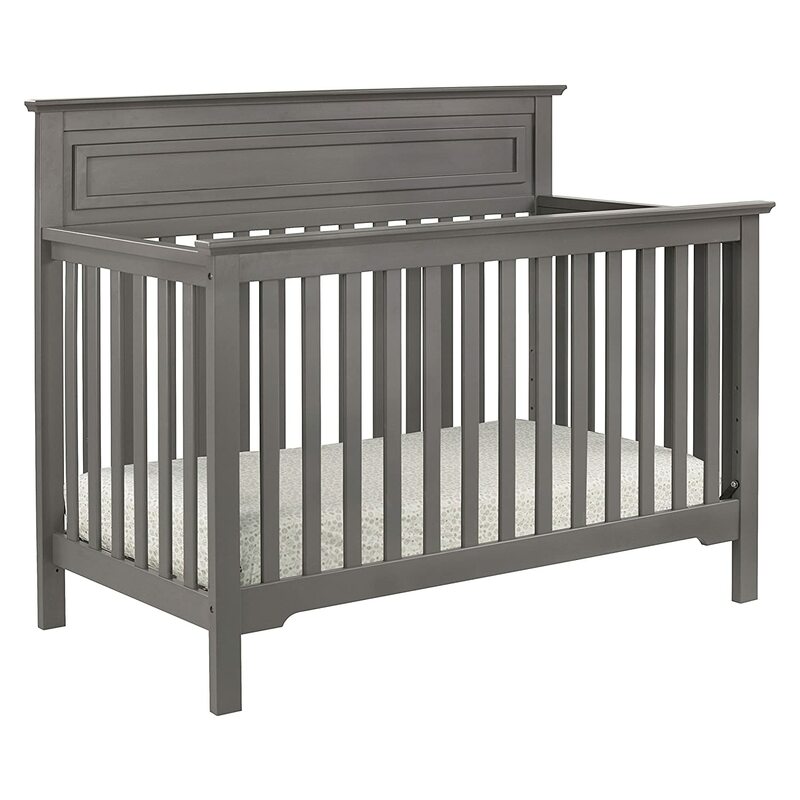 What are your thoughts on an iron crib? I can only imagine the mattress platform and paint being potential risks for toxins but wanted to get your thoughts. Thanks! Hi! Thanks for asking this question. I don’t like the idea of a metal-based crib. 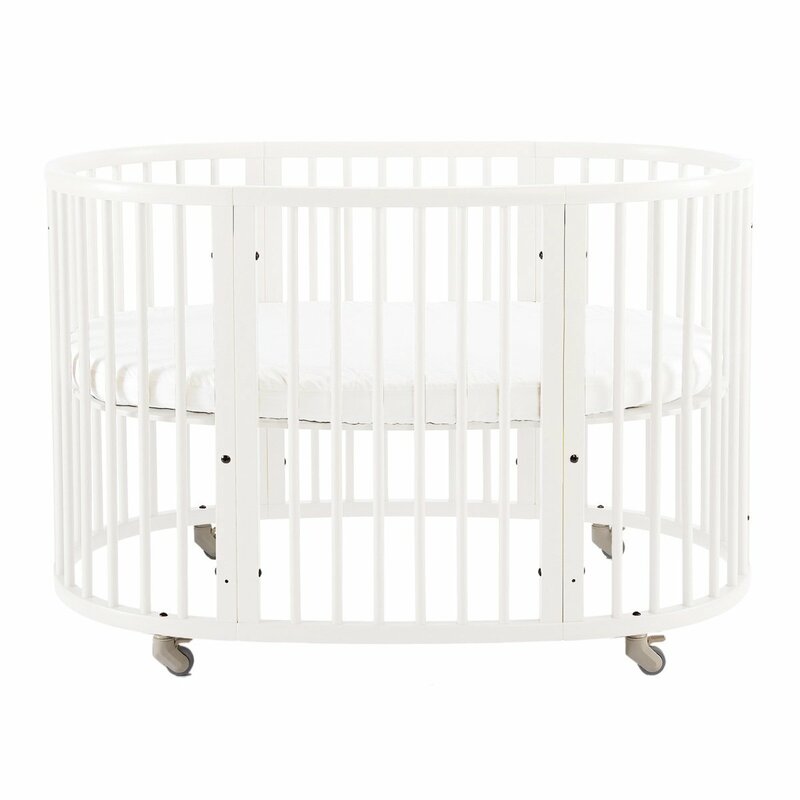 I haven’t done a ton of research on this but I would not feel comfortable using a metal crib because of the possibility it could increase the EMF (electromagnetic frequency) load in the baby’s sleeping space. This is a kind of controversial concept and one that lacks solid guidance in either direction, but I do believe there is a reasonable risk of this happening so I would personally get a wooden crib to avoid the possibility. 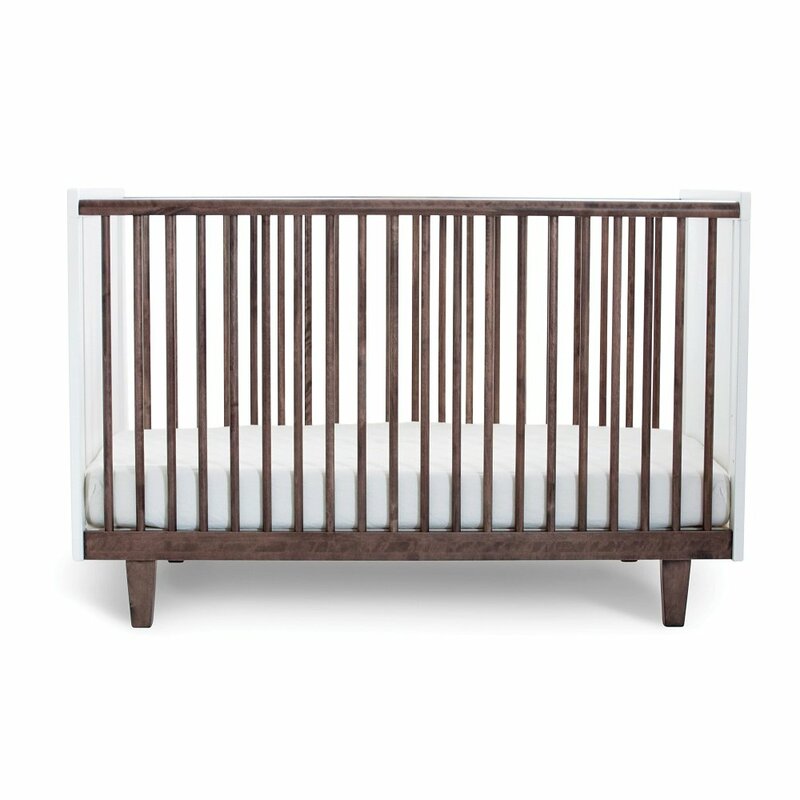 What are your thoughts on the crib from Room and Board called The Nest? Hi Eileen, this is a fantastic option!